Good news everybody, at least the everybody that uses Citrix on a daily basis: the 64bits version of Citrix Receiver is now available for Linux! 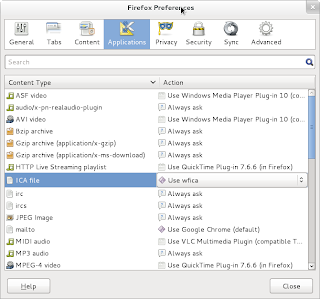 The Citrix Receiver is an application that allows one to connect to a Citrix presentation server, either to receive an application or a full desktop. For instance, I use it to connect to my work to access the Internal resources, as a alternative solution to a full blown VPN. In that scenario, the only things exchanged between my workstation and my corporate network are key presses, mouse clicks, screen refreshes and print jobs. As I am running Linux 64bits, for the past 3 years, I had to go through the installation of the 32bits version, and all the supporting libraries. If it isn't a nightmare to do, nonetheless installing several 32bits libraries just to run one application is a bit of a waste. But this is not longer needed: I found that Citrix has released a 64bits version of the Receiver, available both as a .deb or .rpm package. The install is easy (.rpm in my case) and takes care of its own dependencies. 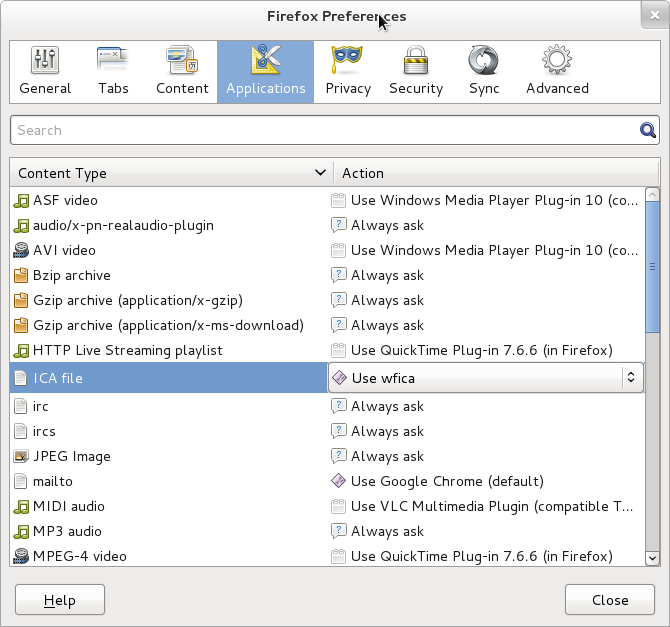 The only step left was to associate the .ica files with the launcher (/opt/Citrix/ICAClient/wfica) in Firefox preferences and voila! Ready to rock.